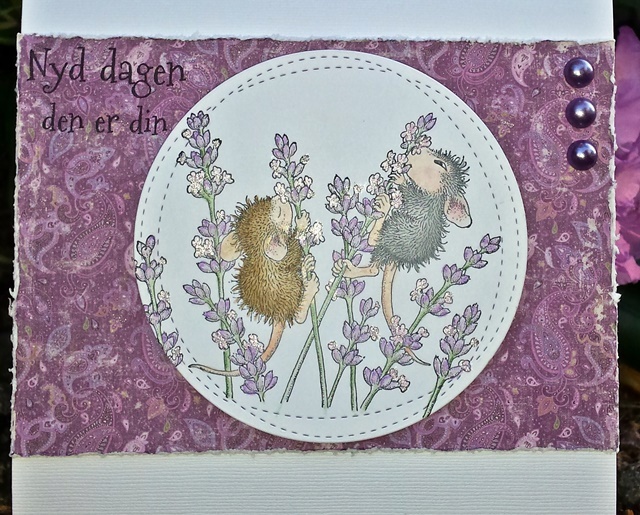 Hos Dorte: Summertime, A DT card for House Mouse & Friends. 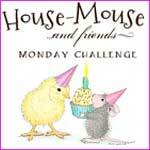 challenge at House Mouse and Friends. we have known eachother since school days. gift to her is.... yes a Lavender! The round die with the stitchings is from My Favorite Things'. 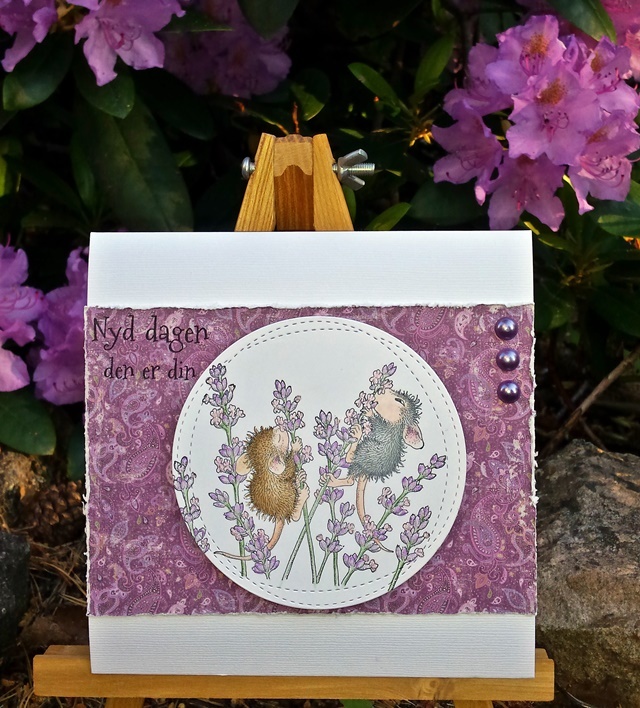 Thanks for sharing your beautiful card with us at CAS-ual Fridays for our 8th birthday. So cute! Thanks for playing along at CAS-ual Fridays Birthday Challenge. 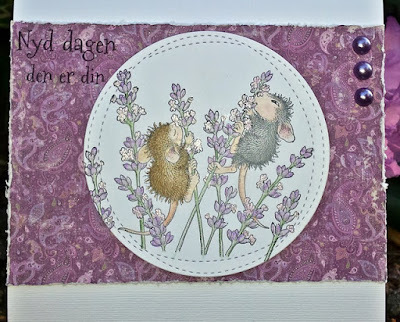 Sweet card, Dorte. Love the image and just the thought of it makes me smell lavender! Your dear friend will love this card. This part is so sweet! That image is adorable. And I love the purple background. 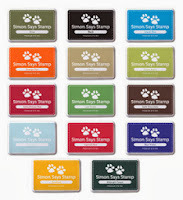 Thanks for joining us last week for the Simon Says Stamp Wednesday challenge. oh, this is so ADORABLE and the colours are very pretty! thank you so much for playing along with us at the penny black and more challenge. Loved your sweet card and image and of course your perfect coloring!!! 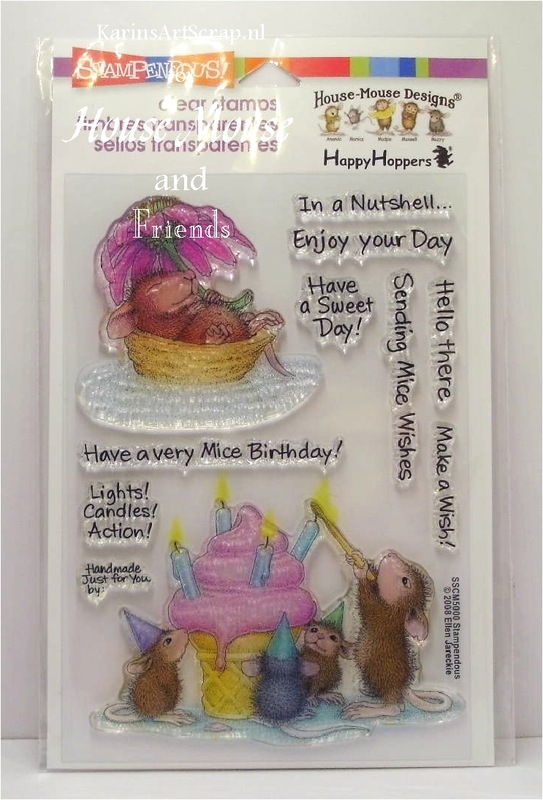 Love these little House Mouse images!!! You've made such a playful card. 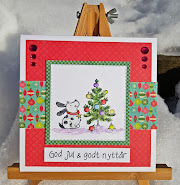 Thank you for sharing your card at our challenge. I hope you will join us again soon.